Bush Village Budget Cabins i Airlie Beach, Australien : Boka nu! 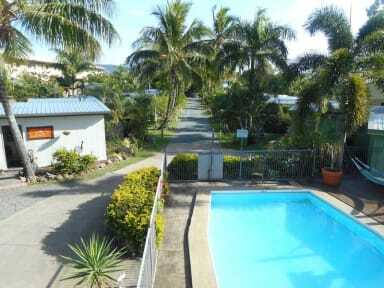 Welcome to the Bush Village Budget Cabins in Cannonvale, Airlie Beach. We are a small, quiet block of holiday cabins set in relaxing, bird friendly gardens but are still close to Abel Point Marina and the centre of Airlie Beach. 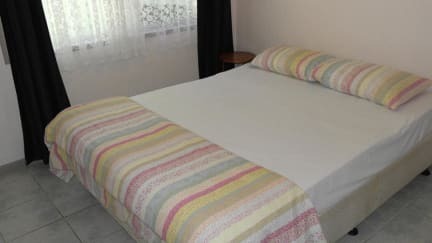 We have all the necessary facilities for a comfortable stay without breaking the budget. from all over the world are welcome to enjoy our little patch of paradise. Our aim is to make our guests feel welcome and enjoy what the Whitsundays area has to offer. We have differing accommodation styles to suit all guests and budgets. For the traveler who wants a relaxing overnight stay or a few days exploring, the Bush Village provides all you need for comfort and value. Chill out in the communal lounge and catch up with family and friends with free WiFi access and a beer. Pop on the washing and whip up a feast in the communal kitchen while you wait for your washing to finish or laze by the pool.